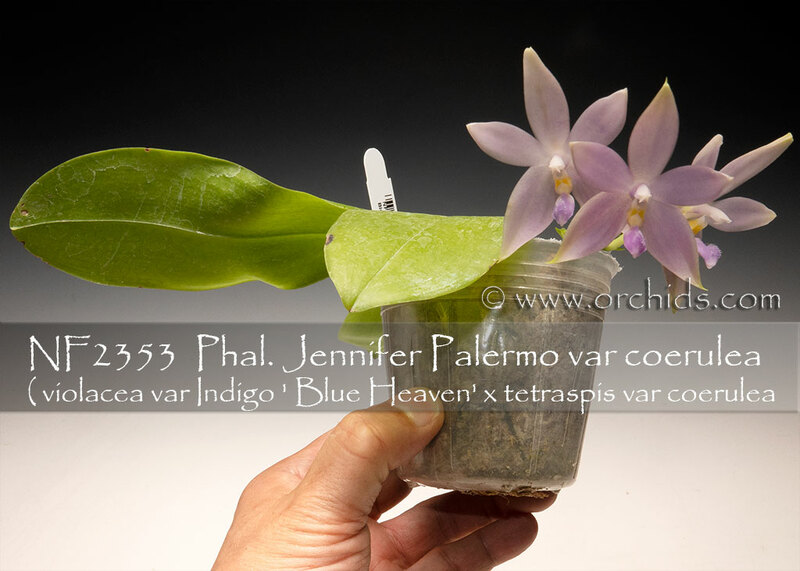 This new seedling population of Phal. 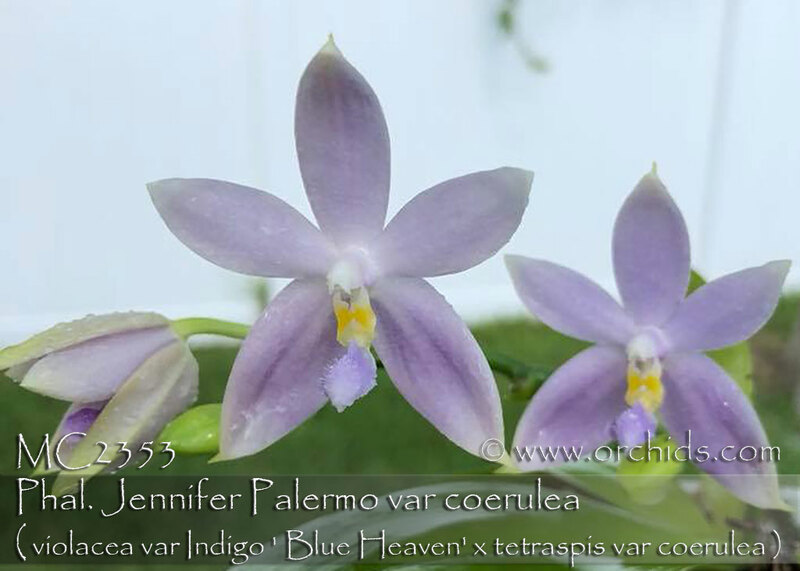 Jennifer Palermo has been re-made with the newer coerulea and indigo forms of its parentage ! 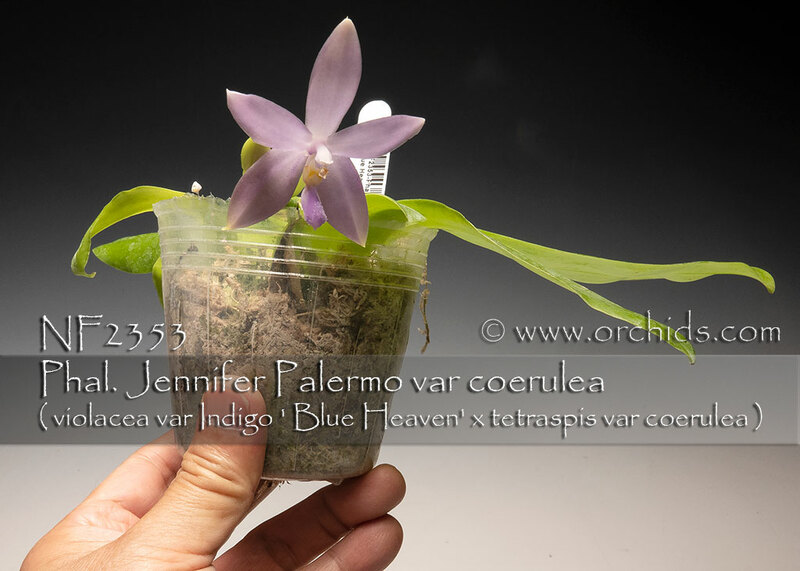 We’re expecting the result to be rare coerulea, or possibly indigo, forms of the original fragrant waxy novelty that’s been used so successfully in recent hybridizing. The progeny will carry upright spikes of very fragrant waxy flowers with a multi-spiking habit from its Phal. tetraspis var. 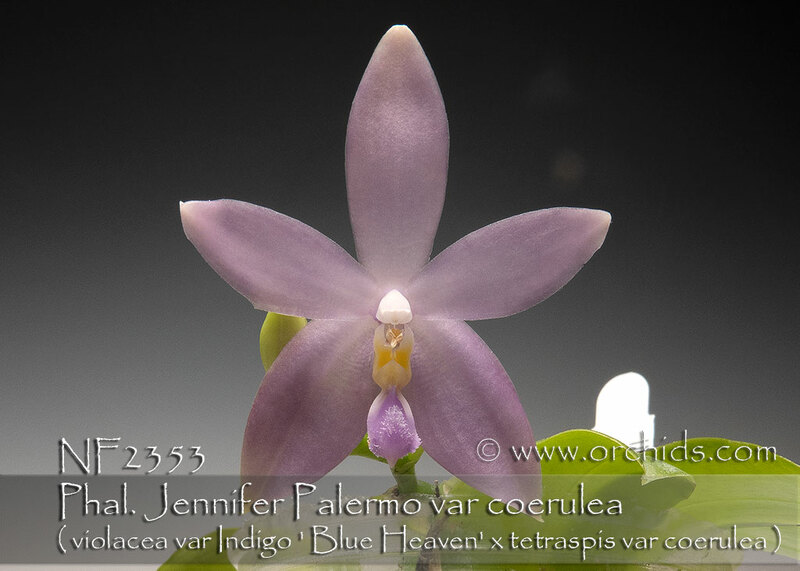 coerulea pollen parent. It’s also capable of continuing to add buds and flowers to previously bloomed inflorescences while still producing additional new spikes. Highly Recommended ! Note: 1-2 spikes , Very Fragrant !